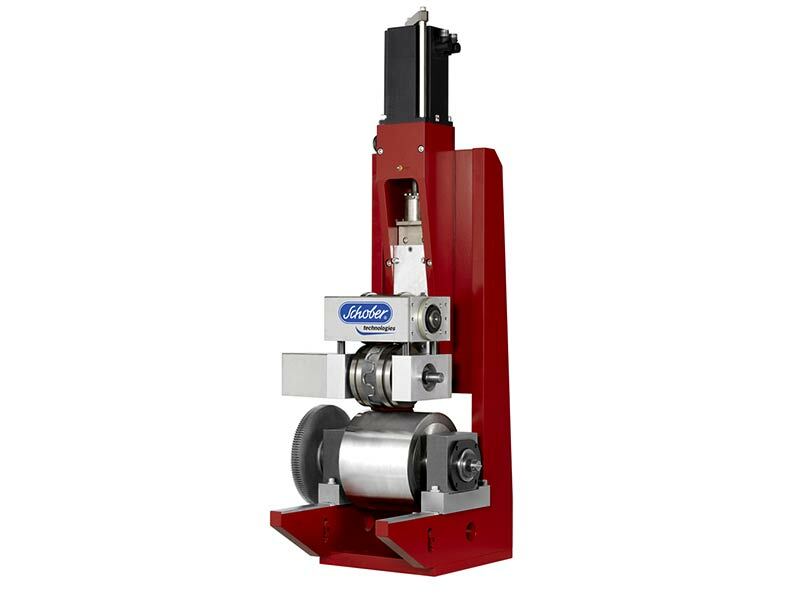 A die cutting head mounted onto a stepper unit is driven into position against an anvil cylinder by a servo-motor and generates a specific pre-calculated cutting pressure. 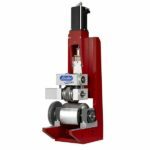 The cutting pressure between the cutting and anvil cylinder is constantly regulated so that the desired pressure is guaranteed during the non-stop operation. Feedback signals from the servo motor are constantly monitored to ensure that the cutting force between die cutting and anvil cylinder remains constant. This means that the cutting quality will not be affected by fluctuation in the speed of the web. Due to the precisely controlled cutting pressure, tool wear is reduced to a minimum and consequently lifetime of tooling is increased. In addition to the increased lifetime other advantages are: no scrap generated from bringing the machine down and back up, increased productivity, reproducible setting data and fast change-over.